With all the controversy in the media about historical monuments recently, it is so important to always acknowledge our past and learn from it. I am so grateful that I was able to get a glimpse of Lamar history during my visit with Jill Purinton, a member of St. Mary’s Catholic Church since 1972. 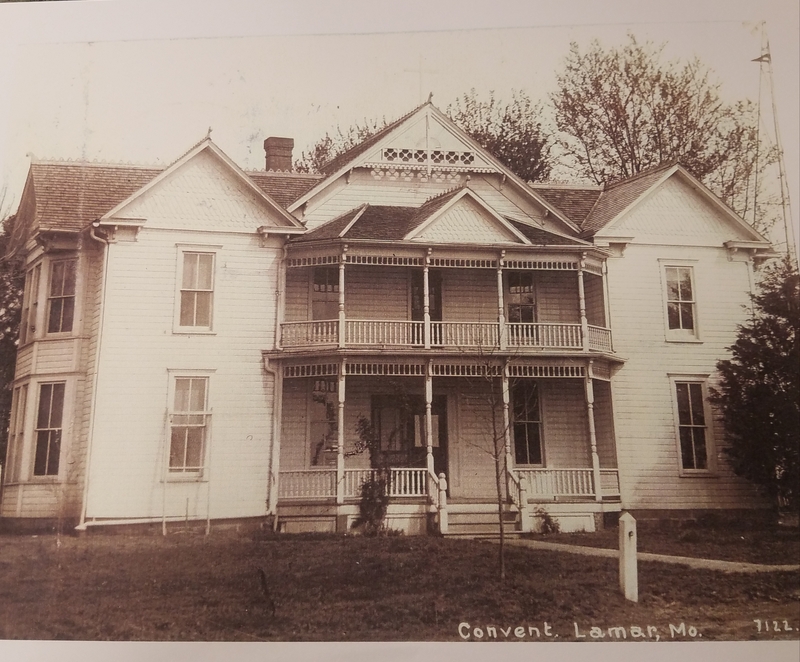 As the Chamber of Commerce has taken a larger responsibility in the economic development in Barton County, I found the story of Dave Beamer and his role in founding St. Mary’s Catholic Church in 1869, Convent & St. Joseph’s College or Day school which opened in 1906, very interesting. Dave Beamer was a land developer; he helped recruit farmers from Illinois to come to Barton County, purchase land & farm. These farmers were Catholic and Mr. Beamer saw the importance of establishing a place of worship and a private school for their children to attract this group to this area; Beamer was not himself a Catholic, but knew that the establishment of a community for the Catholic farmers he was attracting was of great importance to the success of his business plan. The new church was named The Church of the Assumption of the Blessed Virgin Mary, known now as St. Mary’s. In 1980 parishioner Dorothy Gastel accurately documented the history of the church, convent, and school in a scrapbook format for future generations to enjoy. 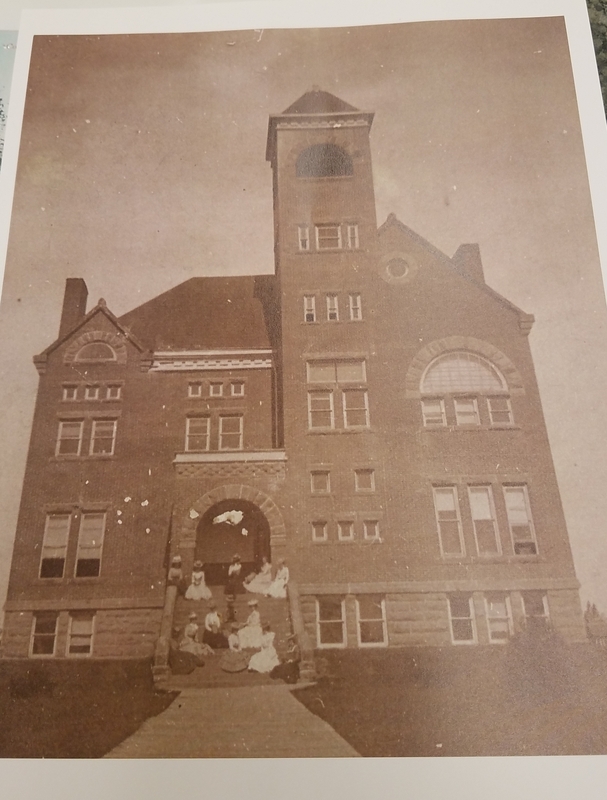 After the closing of the school, many of the bricks from that structure were utilized in the building of Memorial Hall. The greatest challenge in recent years came following the fire on Feb 8, 2009, which destroyed the original church located at 200 E 17th Street. 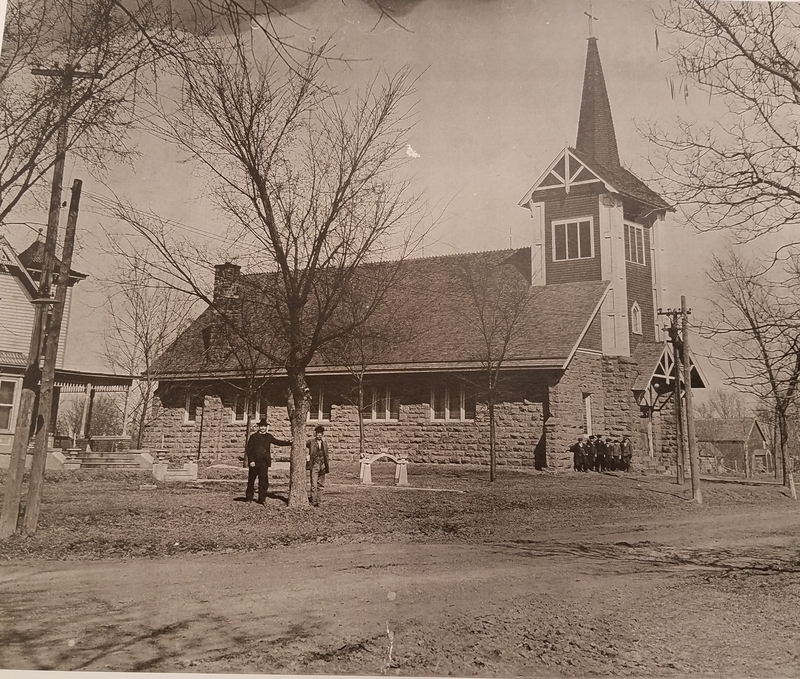 The fire was caused by arson; the church began the rebuilding process with the help of the community; St. Mary’s did not fault on serving their members as they continued to hold all of their services, meetings, and classes in the Parish Hall adjacent to the main church structure. It was a difficult time, and Jill described it as a time of phoenix (Ancient Greek: Φοῖνιξ, phoínix) is a mythical firebird which dies in flames and is reborn from the ashes. The new building stands on the original footprint of the building and is absolutely stunning as you can see from the photos. 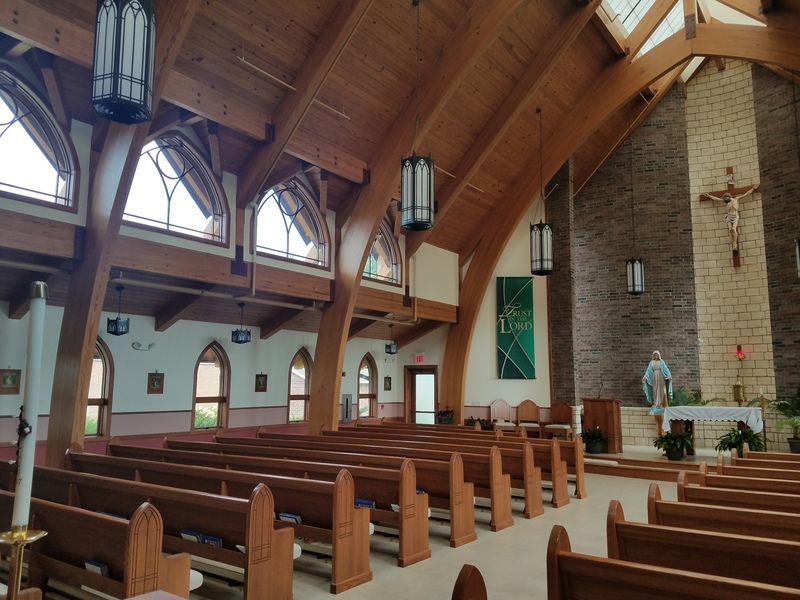 The church felt tremendous support from the community during this time; scheduled weddings occurred at other churches in town who graciously shared their facilities to help accommodate St. Mary’s congregation. With the assistance of the Diocese of Springfield Cape Girardeau, the many committees assisting in the gathering of financial support, today, St. Mary’s Church is strong and focused on the future, through serving the 120 families in the congregation, with strong Women’s, Men’s and Youth Group, outreach to International and local missions with the guidance of Father Patrick Teter.